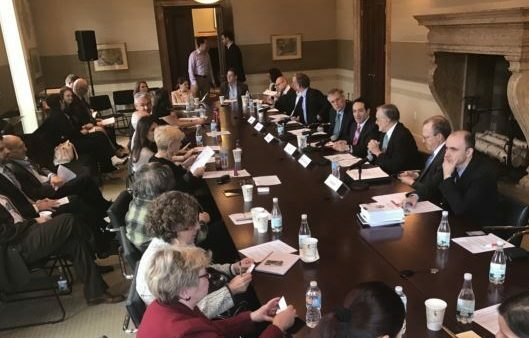 Washington Conference on Belarus, organized jointly by the Belarusian Institute of America (BIA) and the German Marshall Fund of the United States (GMF), will provide a forum to discuss opportunities, prospects and possible directions in U.S.-Belarus relations. The event is aimed to draw attention to Belarus for improving the quality of analysis and research, to promote a deeper understanding of Belarus as well as Belarus-U.S. relations in expert and academic communities in the U.S., to establish reliable and regular communication between researchers and experts from both countries. The Conference is a platform for exchanging views and ideas, establishing informal contacts, and conceiving new initiatives and projects related to Belarus. It will bring together a broad range of researchers and experts, politicians and officials, civil society representatives and other stakeholders interested in Belarus and Belarus-U.S. relations.